January 20, 2012 by fmgarchitects. 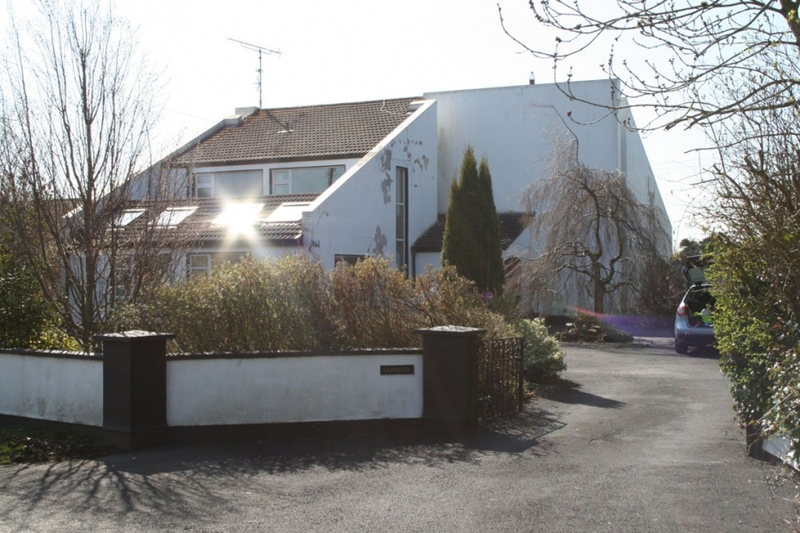 Having worked for both Sam Stephenson as an assistant in London in the summer of 1989 and Arthur Gibney & Partners in Dublin for four years after college, I was surprised to learn that there was a Stephenson Gibney house in Ratoath when I was contacted by the owners in March 2010. The house which dates from 1970 is arranged as two monopitch blocks around a monumental spine wall which is expressed externally with indented slot windows. 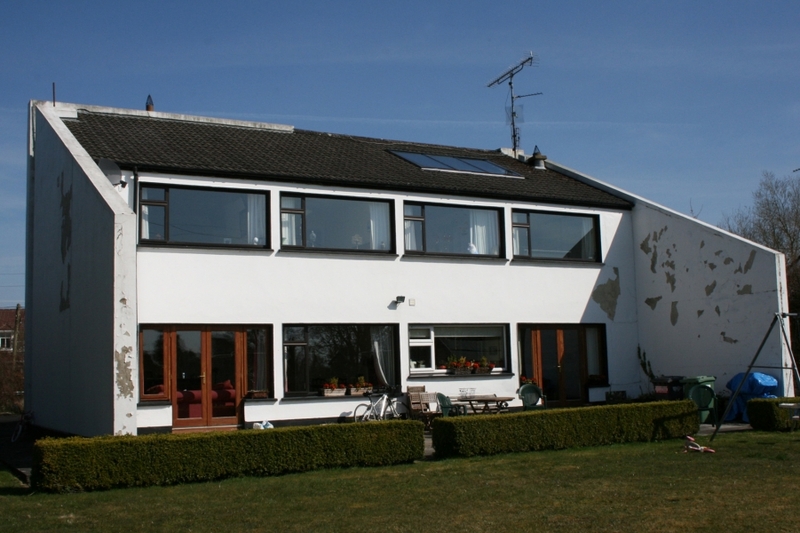 The heavily glazed south facing rear elevation benefits from solar gain with projecting wing walls which shelter the patio (Ratoath is elevated/exposed) and provide privacy. 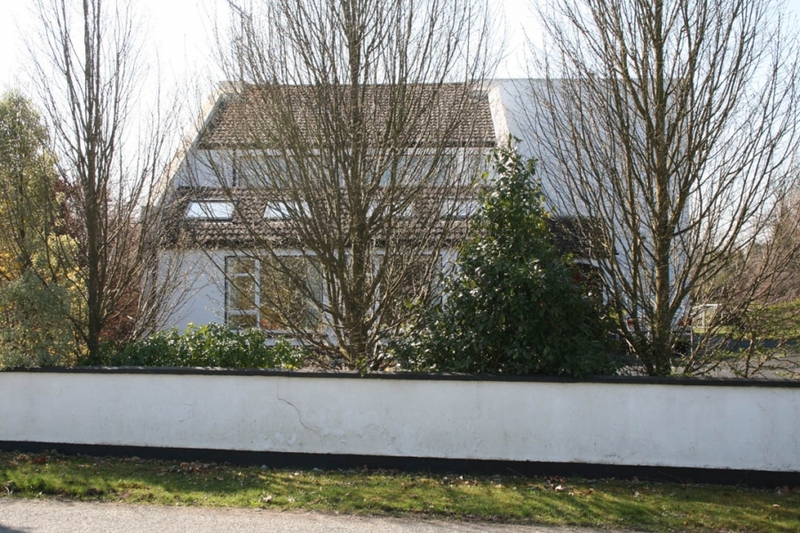 An area between front wing walls which was originally a carport and entrance area was later infilled and a flat roof to this area been replaced with a pitched roof by the current owners in 2005. Apparently some glazed elements were blocked up during the 1970s energy crisis – a radical energy conservation measure! After examining more substantial proposals for alterations to the main house, the clients elected to modify the existing porch to a design more in keeping with the modernist style of the house. A detached garage was also designed in a similar idiom to the house. We will hopefully upload some photographs of the finished work next year when painting is completed in Spring.